“…rebuild(ing) our highways, bridges, tunnels, airports, schools, hospitals. We're going to rebuild our infrastructure, which will become, by the way, second to none. And we will put millions of our people to work as we rebuild it." Embedded in this call is optimism that infrastructure can be delivered quickly, on time and on budget. Recent history of major infrastructure — often called megaprojects — in the United States and worldwide tells us that this could not be further from the truth, even for projects cloaked with the guise of “shovel ready”. Not only do projects take longer than expected, construction costs are far higher than anticipated. Very few things in life are a sure bet but this is one of them. As part of this this perverse bet, project sponsors estimate financing costs decades in advance of project completion. These estimates combined with construction cost projections do not fall flat; they fall head first into unpredictable fluctuations in the economy and then rise…and rise. 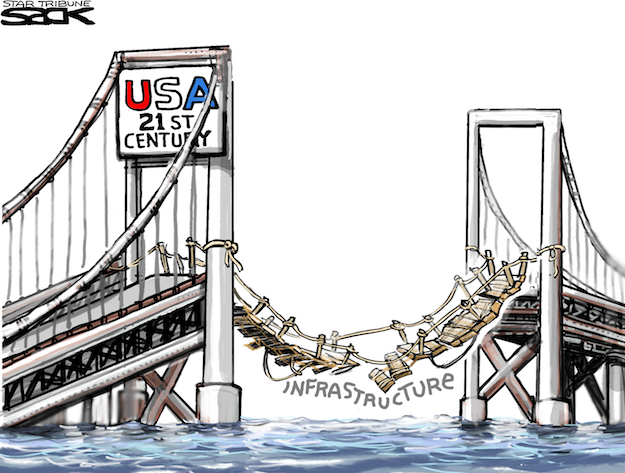 Image 1: State of Infrastructure in U.S. Even with this looming reality, another sure bet is that governing authorities across the globe will continue to embark on new megaprojects or major facility upgrades as infrastructure ages and cities look to the resiliency of existing critical infrastructure in the face of hazards and extreme events. My new book on reconstruction of the San Francisco-Oakland Bay Bridge in California provides a cautionary tale to which these entities should pay heed. One of the most traveled facilities in the nation, the Bay Bridge’s East Span suffered a partial collapse during an earthquake in 1989 and yet the state and Bay Area region did not complete the new span’s construction until 2013. The project had all the makings for a quick infrastructure job having been initiated in response to a crisis and fully funded – at first. However, the project spiraled into chaos due in part to divergent perspectives between elected officials, transportation agencies and the larger citizenry on the project’s purpose: Was this simply a project to fix a broken bridge or could it make an aesthetically sublime impact akin to its bridge sibling on the Bay, the Golden Gate Bridge? At the same time, should there be new rail capacity and a bicycle and pedestrian pathway given mounting traffic congestion and increasing regional economic growth? Along the way, costs increased many times over starting with $250 million to seismically upgrade the full length of the bridge including the East Span. Then the state decided instead to replace the East Span for upwards of $1 to $1.3 billion in 1997. Current estimates place the new East Span cost at $6.5 billion not including financing which could double the cost once the final tab is settled. The new Bay Bridge raises several interrelated issues that warrant consideration that are more broadly applicable to improving megaproject delivery and design. First, in estimating costs and schedules to completion, project sponsors should assume that projects will not go according to plan. 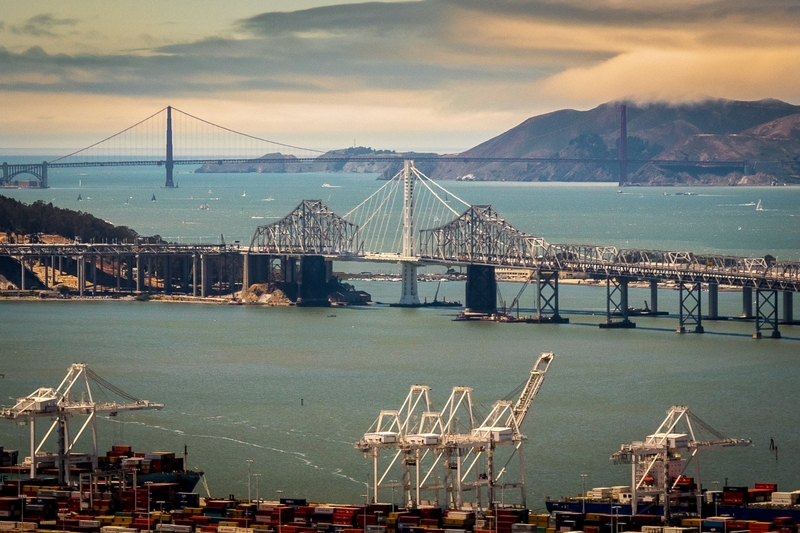 Large-scale endeavors like the Bay Bridge have what I have identified as the “7 C’s of Megaprojects” as they tend to be colossal, costly, captivating, controversial, complex and laden with issues of control over financing, design and project development. They also demand much communication between key actors, the media and the public. These characteristics in combination quickly complicate project timelines and cost estimates and eliminate all prospects for projects to be delivered on time and on budget. Second, project sponsors may take the “inside view” only considering circumstances of the project at hand and not systematically investigating project examples in practice for patterns in cost, project delivery schedules and risks. They may be overly optimistic in or deliberately misrepresent estimated project cost and benefits. [i] They also may not have sufficiently trained staff and management to discern the nuances, complexities and risks of megaprojects; work with the private sector and financial institutions; and, develop corresponding contingency budgets to cover increased costs. Further, project sponsors often do not provide substantial time or funds to support in-depth planning and public outreach, and rigorous cost estimating, engineering and design. Overall, this can lead to poor initial estimates in cost and project delivery timelines. Subsequently, public discussion of cost lacks having the benefit of full disclosure and contemplation of such information, particularly financing costs which can double project cost. Third, to establish an “outside view”, public agencies and others could draw from efforts in the United Kingdom, European Union, Australia and the Asia Pacific whereby they systematically compare relative project costs and time to completion to like projects from across the globe. This cost comparison is often called “reference class forecasting”. [iii] In tandem, improved methods should be undertaken to account for the full transaction costs of projects [iv], particularly the cost of financing. Public dollars spent on projects accrue from the time a project is included in a planning or budget document. From that time forward, substantial public expenditures are made to complete a project – expenditures range from those to private firms for construction, to public agencies and others which participate in the design and manage contractors, to those related to financing, and other transaction costs, such as legal, environmental, and right-of-way expenses. All together these expenditures amount to the total cost to the taxpayer to deliver the project. Yet, public agency data systems may not organize these expenditures at the project level in a way that facilitates determinations of whether a project is, in and of itself, efficient and effective in terms of its delivery method (traditional or through public-private partnerships), or efficient in comparison to other projects. Only through systematic data collection and analysis can these key costs be revealed and assessed to improve cost estimating and project delivery. Fourth, establishment of proper management boards, internal and external oversight, and external independent peer review could further facilitate the outside view and uncover when lock-in and bias cloud project sponsors’ judgment. These bodies also can be attuned to ensuring that key social equity, environmental, safety and other public interest goals remain at the forefront. They can recommend the necessary data to collect before, during and after implementation to allow for robust project evaluations. In so doing, project sponsors could consider a Community Advisory Board that could contribute insights on key project aspects including development of community metrics and data considerations developed through local knowledge. [v] Overall, these review groups can facilitate full disclosure of key information to increase transparency and accountability. This is critical for decision-making and an informed citizenry, and well worth the investment in time and transaction costs. The further down the road a project’s scope changes, the higher potential for increased costs and time delays. Fifth, megaprojects may be fused with deep symbolic, cultural, economic and environmental meaning that are worthy of careful deliberation even in a era of major fiscal constraint. 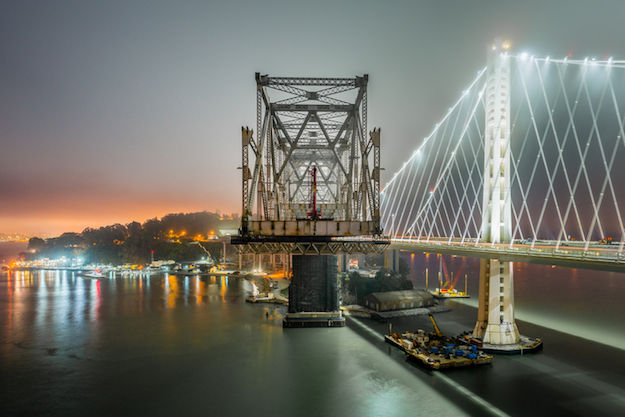 In particular, the pursuit of the technological sublime — the sense of awe, wonder and terror that large infrastructure may invoke — played an instrumental role in the Bay Bridge’s project design and selection. Key actors fiercely strive to achieve their ideas of the sublime in the structure or broader outcomes whether an iconic structure, design prowess or as leverage for attaining other goals. Public agencies should recognize that striving for the sublime may derail public processes and negatively impact project design, budgets, and schedules as participants are blinded by an over-optimistic belief that design and engineering can overcome the technical complexities and risks associated with implementing large-scale projects. However, yearning for the sublime has the potential for substantial positive effects as well, fueling creative solutions and stimulating public involvement because of the visionary nature of the project. Thus, agencies should allow sufficient time to these challenges and opportunities rather than assume all will go according to plan. Ideas about vision and broader meanings should be built into the process and funding structures in a meaningful way. Such recognition and space would improve project performance and public debate by reducing the prevailing optimism in delivery schedules for projects that require substantial funding and time. With continued urgent calls for infrastructure investment and mounting needs, project sponsors should carefully consider these interrelated issues when developing new megaprojects. Otherwise, the offer of a sure bet is still on the table; time and dollars a-wastin. As ever we welcome further Built Environment blogs & tweets on this theme!